Hook Tool / Insert Tool / Double bend. 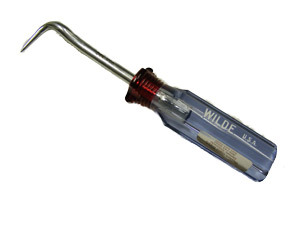 Hardened steel tools have a distinctive bend that reaches over the pinch weldand easily grabs the rubber. Found under Auto Glass Tools in the Western Glass Supply catalog.